A veteran Oakland fire captain is suing the city's fire department after it rescinded a promotion when it was found his son was a convicted arsonist. Capt. 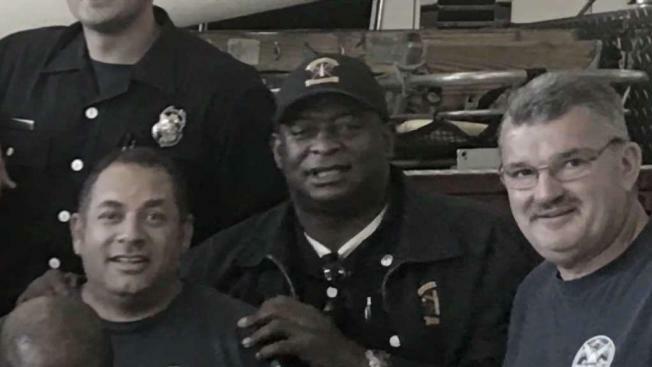 Howard Holt, a 27-year veteran, claims the department was discriminatory, retaliatory and in breach of contract in its decision and is naming the city of Oakland and the fire chief in his federal lawsuit. "I think its personal, discriminatory, people overstepping bounds, not knowing what the rules are," Holt said. In December 2017, the department offered Holt a promotion to acting assistant fire marshal, an achievement he said he was happy and proud about. But his joy turned to anger a few weeks later when the department called him and rescinded the offer, saying the decision was related to Holt's son being convicted of arson in Napa County. "I think it's horrible and wrong your judging me on something you don't even know about," Holt said. Months later, according to the lawsuit, after filing a grievance with the union, the Oakland Fire Department once again offered him the job, but on the condition he agreed not to take legal action. The City Attorney's Office declined to comment on the lawsuit, saying it had not yet seen it. Holt, who is currently on leave with an injury, is hoping the legal action will focus the fire department on following promotional rules. "I have the education, knowledge and experience," he said.